Sun Burst, original Alison Johnson painting. An incredible oil on canvas by contemporary artist Alison Johnson. 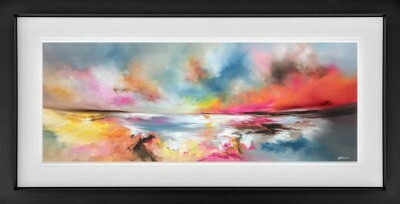 Eye-catching bursts of vivid colour make this Original abstract seascape an interior designer's dream. Comes beautifully framed.